Plastic surgery is a big commitment, and there are many things you’ll want to consider before you take the leap. Because plastic surgery is usually elective, many people are under the misconception that it’s no big deal, or that the risks somehow aren’t as real as the risks associated with other surgeries. The reality is that plastic surgery, no matter how commonplace the procedure, is a big commitment, and there are several things you need to know before making that commitment. 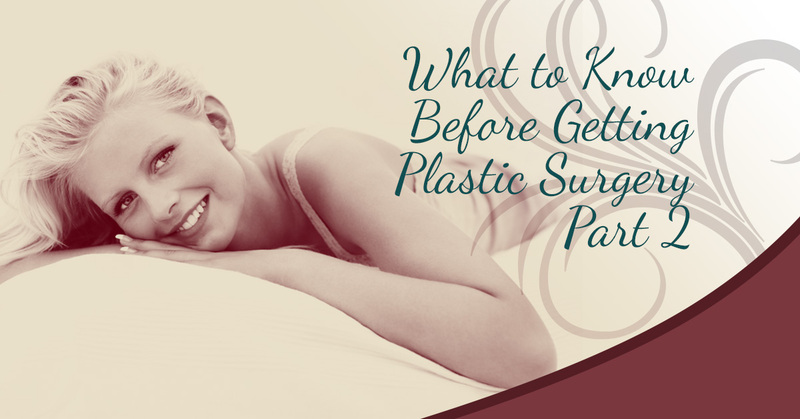 Check out our last blog to learn about the first four things to know before getting plastic surgery, and keep reading to learn more. #5. How much will it cost? Plastic surgery may be covered by insurance when treating a functional disorder or cancer surgery. Cosmetic procedures for enhancing your appearance are not covered by insurance. 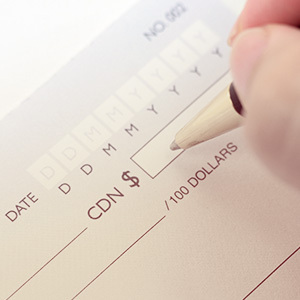 Make sure to talk to your surgeon about financing and any payment options that may be available. In some cases, a surgical procedure is your only option for getting the results that you want, but in other cases, there are alternatives that you should also consider. For example, if you’re interested in liposuction because you hate your love handles, you may get the results you’re looking for with CoolSculpting®, which is much less invasive and requires no downtime. #7. Can you take time off to recover? The recovery process of any surgical procedure needs to be considered, and plastic surgical procedures are no exception. Do some research on what kind of recovery period you’re looking at with the procedure you’re interested in, and make sure you are able to take the time off you need to recover. There are many things to consider before committing to a surgical procedure, and if you’re interested in plastic surgery, it’s time to schedule your free consultation with our board-certified plastic surgeon, Dr. Schutte, in Loveland. We are happy to answer your questions, address your concerns and give you the information you need about the procedure you’re interested in. Contact us today.